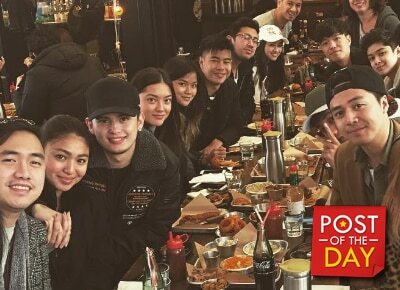 Apart from celebrating her birthday in Korea, James Reid and Nadine Lustre also got the chance to meet and hangout with new friends abroad. In a post by Sam Concepcion, Team Real was spotted dining with Korean superstar Sandara Park. The Pinoy Boyband Superstar mentor even welcomed the couple and their friends in her hometown via post on her Twitter account. Team Real flew to Korea with their friends Sam, Ivan Dorschner and James’ siblings Lauren and Jack Reid.